Photo is the Art Center’s. 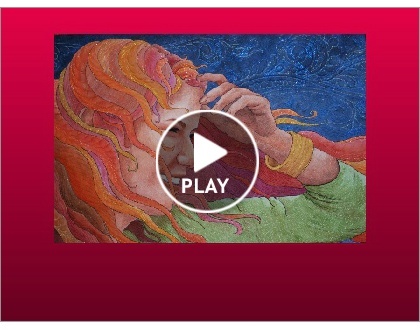 About thirty of Yvonne’s works will be on display at the Carnegie Arts Center in Turlock, California, from January 18 – March 14, 2012. 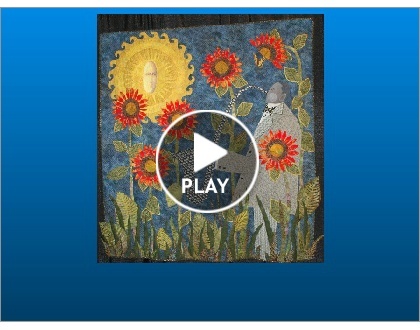 Quilt Journeys: Three Quilters is showing at the National Quilt Museum in Paducah, Kentucky, until March 13, 2012. It follows the artistic journeys of Doreen Speckmann, Diane Guadynski, and Doris McManis. Quilts = Art = Quilts is at Schweinfurth Memorial Art Center in Auburn, New York, through January 8, 2012. This is the Art Center’s 31st annual juried exhibition, continuing its tradition of recognizing the importance of quilts as a visual medium. Here is a Smilebox presentation slide show of the art – miniature category in “A World of Beauty” exhibit at the International Quilt Festival’s Houston Show in November 2011. Beautiful! The second presentation is the art whimsical category. Here are more award winning quilts from the International Quilt Festival in Houston 2011 along with a number of close-ups, and in some cases the quilter herself. 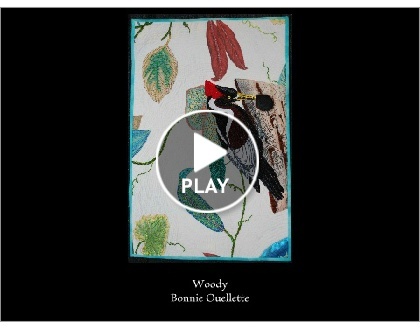 This is a Smilebox slide show presented by The Quilt Show.